Katmandu appears in the Archie Comics. 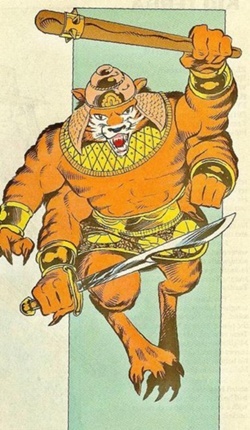 A four-armed tiger-like creature clad in Ancient East-Indian Armour. The Turtles encountered him in the People’s Republic of China. Katmandu was created byRyan Brown a Mirage Studios artist.